A million bucks ain’t what it used to be in real estate. Almost one-in-five Orange County homes sold in the past year was priced at $1 million or more as the number of seven-figure deals completed quadrupled since the depths of the recession. Buyers spent $1 million or more on 7,147 homes sold in the 12 months ended April. The seemingly eye-popping prices didn’t scare off too many buyers. Sales in this upscale niche were up 14.4 percent in a year and they’ve risen on a year-over-year basis consistently since June 2012. This million-dollar buying binge equaled 18.7 percent of all homes sold in the past year. That’s up from 16.9 percent in the previous year and almost double the 9.7 percent average share of sales priced in seven figures since 2000. The growing willingness of certain Orange County house hunters to pay up for properties can be viewed many ways — from seeing the push as a strong belief in the region’s economic future or as a worrisome signal of illogical overspending and, perhaps, a real estate bubble. Here are five drivers behind this expansion of housing’s upper crust. A favorable economy has created a significant number of high-priced jobs that can afford such housing. Low-interest rates make homes at all price levels feel more affordable — and give house hunters extra buying power. On top of that, investors of all sorts (notably those of foreign backgrounds) have been active buyers in local high-end housing. And Orange County homebuilders have been heavily focused on pricier new products. Yes, any home that sells for $1 million or more is a darn nice residence. But million-dollar home sales have gone from a rarity — they were just 2.7 percent of all sales in 2000 — to a somewhat common deal being made at a pace of 20 per day. This evolution has caused real estate professionals to see today’s “luxury” market starting at $2 million. Look at how that price niche performs. In the 12 months ended in April, Orange County house hunters bought 1,589 homes priced above $2 million — up 5.7 percent in a year. This means $2 million-plus was 4.2 percent of all homes sold — certainly less ordinary — and a growing category. It’s more than doubled the 2 percent average market share since 2000. Local developers, who often cater to high-end tastes, have certainly noticed the upward home-price trend. Some might even say the homebuilder preference for luxury has hurt local housing affordability. Homebuilders sold 1,666 homes priced above $1 million in the past year, that’s roughly double what was purchased three years ago. It’s also the fastest pace of sales of million-dollar new homes in 10 years. Meanwhile, the creation of new homes priced less than $1 million has been essentially flat since 2014. Or look at it this way: 35 percent of recent builder sales fell in the seven-figure range. That is the largest concentration of million-dollar homes in new Orange County housing in CoreLogic’s report, which dates back to 2000. And the high-end building boom runs nearly doubled million-dollar housing’s 18 percent share of new-home sales averaged since 2000. Even during last decade’s bubble-inducing buying mania, million-dollar homes were never more than 30 percent of developers’ sales. Five Orange County ZIP codes were among California’s 25 most-active million-dollar markets in 2017’s first four months. In Irvine, ZIP 92620 was the top California spot for seven-figure homes: 148 sold, up 66 percent in a year; 92618 had 130 sales, up 33 percent in a year. Both neighborhoods feature several luxury new-home projects. The other three local towns on the list were classic seaside spots for pricey real estate. No. 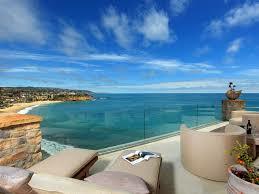 10 was Laguna Beach 92651 with 112 million-dollar homes sold, up 18 percent in a year; No. 18 was Newport Beach 92660 with 104 sales, off 11 percent in a year; and 24th was Corona Del Mar 92625 with 92 sales, up 15 percent in a year. Even local housing’s bargain, the condo, has gone a tad seven figures. In the 12 months ended in April, 448 Orange County existing condos sold for more than $1 million. While that may be only 6 percent of the seven-figure market, it’s still part of an head-turning switch. Million-dollar condos have been selling at an average clip in excess of 30-a-month for almost the past three years. Back in 2000 and 2001, just 31 million-dollar condos sold in each of those ENTIRE YEARS.